Like La Grange Historic Districts Commission on facebook! The Central La Grange Historic District encompasses much of the historic portion of the City of La Grange and provides an excellent picture of what the community was like at the height of its development in the early years of the twentieth century. It includes residential, governmental, religious, and transportation-related resources. La Grange's historic character is derived from its role as a county seat and as a railroad community. The present appearance of the central district is still very much dominated by the courthouse square and the railroad which, with its track slicing down the center of Main Street and its long trains passing regularly through town, provide a strong visual presence. 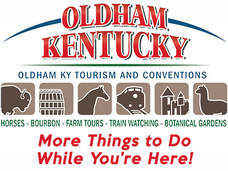 In terms of community planning, development and transportation, the district is significant for providing a good example of a nineteenth century Kentucky town whose growth and development were determined by its status as a county seat and as a railroad town. 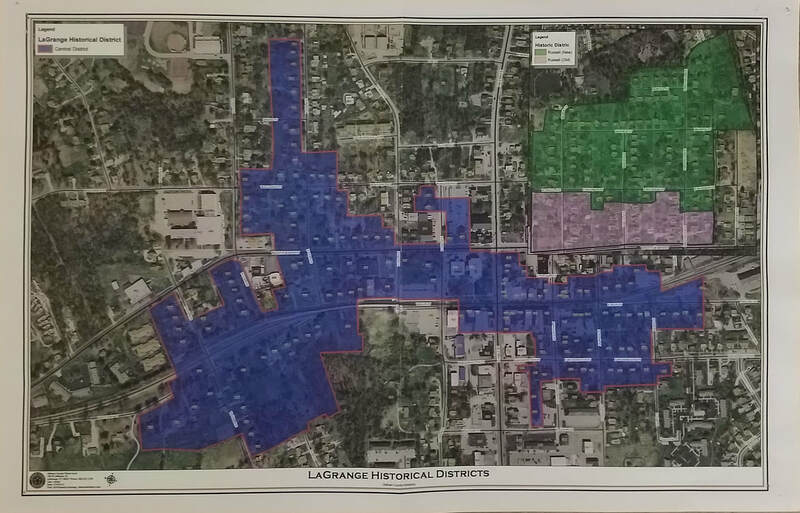 A large portion of La Grange's original fifty-acre tract within the district is evident in its gridiron street plan, which so often identifies communities that were planned as county seats. Its largecourthouse square, prominently situated on high ground near the center of the community, is typical of such towns. The presence of historic commercial and residential properties surrounding the square provides an important example of typical early courthouse-town development. This mix of building types has been lost over the years in many towns as centrally located early residences have been lost to commercial development. In terms of architecture, the district is significant for its large intact collection of buildings that document the typical styles, types, forms, building materials, and methods of construction that were found in La Grange during the century spanning circa 1840 to 1938. These buildings provide representative examples of modest residential, commercial, governmental, religious, and transportation-related structures in Kentucky's Outer Bluegrass region. The large number and variety of historic structures in the district make it significant as a record of small-town architecture of the 1840s through the 1930s.